Panori Hotel is a family run hotel set on Tanzania's beautiful coastline. 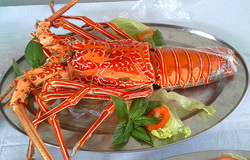 Founded in 1990 by the Labrosse family whom originate from the Seychelles. We offer 18 spacious air-conditioned rooms suitable for every traveller, we have the most varied cuisine in town, free Wifi and a hospitality that goes beyond the ordinary Karibu, Welcome! 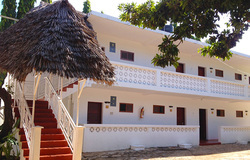 All rooms are self contained, well kept, air-conditioned with comfortable bedding, fridge and Free WiFi. Breakfast is included in room rates. Enjoy superb traditional African and Authentic Seychellois cuisine in our unique round restaurant surrounding a beautiful ancient mango tree. Our location on Ocean Drive is easy to find by bus, train or car, just 3km from city centre and stone throw from the coastline. !! PHISHING SCAM ALERT ! !